Through Ryadon's immediate expansion, companies in and around California are benefiting from more access to custom made 500 lb drawer slides at reasonable prices. Ryadon Inc. immediately expands their 500 lb drawer slides (http://drawerslidesinc.com/) offering in California. Ryadon, Inc. has been serving its loyal customers ever since 1987 and continues onward with their recent expansion of 500 lb drawer slides. In addition to drawer slides, this industrial company offers a wide variety of secure hardware products including latches, handles, vents, slides and more for toolboxes, vehicles, truck bodies, office furniture and fabricated enclosures. The process doesn’t just stop at the distribution of these hardware products. Ryadon Inc. manages each step of the process in their quality program, beginning with product realization to product delivery in the customer’s warehouse. Just another great reason to purchase 500 lb drawer slides (http://drawerslidesinc.com/) from this industry leader. In addition to providing California residents and companies with these functional products, Ryadon Inc. excels at customer service to ensure the best individual and responsive attention for customer orders. This is part of the philosophy that maintains Ryadon’s exclusive title as a leader of industrial hardware in California. Ryadon Inc. is honest, dependable, open and most of all fair in every business relationship they develop. For them, that is the only way to do business. Learn more about Ryadon Inc. on their website (http://drawerslidesinc.com/) and take advantage of their latest release of 500 lb drawer slides. They are the most dependable and valued hardware pieces available across the United States. 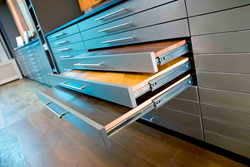 Ryadon Heavy Duty Drawer Slides are customizable to fit every clients individual need and particular use. Ryadon Inc. has been in business since 1987 and has serviced hundreds of thousands fully satisfied customers around the world. Other products that Ryadon Inc builds to specifics are slides, vents, latches and handles. Drawer slides are available for different weights includling 500 lbs. For more information about Ryadon and their high quality products, please visit their website: http://www.ryadon.com. 250 lb. full extension drawer slide .75(19mm) x 2.09(53mm), lever disconnect, 1" over travel, 10-36 inch lengths. 500 lb. Full extension drawer slide .75(19mm) x 3.00(76mm) 8- 60 inch lengths. 500 lb. full extension drawer slide lock in lock out .75(19mm) x 3.00(76mm), 12-60 inch lengths. Whether you are a weekend warrior building a toolbox or an OEM manufacturer doing mass production we are here to supply quality product at prices to fit your needs.